London Accordion Orchestra in concert at Impington Village College, Cambridge. This dynamic orchestra, made up of 35 accordionists and 3 West End percussionists, bring their unique sound to Cambridge. 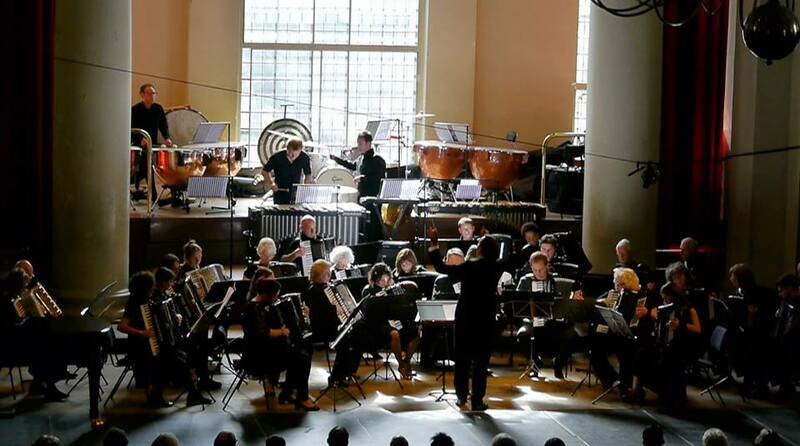 In a rare concert outside of central London they will play well known classical works such as the Jazz Waltz by Shostakovich, Polovtsian Dances by Borodin and the popular ‘Flight’ by conductor Ian Watson. Don’t miss this chance to see one of the top ensembles in the country.